Usage/Application Bones, Vegetables Waste, Food Waste, Hotel Waste, Leaves, Garlands, etc. We are a trusted organisation involved in providing a commendable assortment of Two Stage Shredder to our customers. 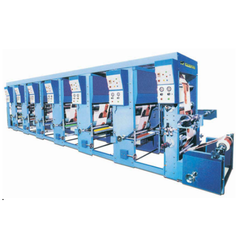 Heavy Duty Rotogravure Printing Machine, widely used throughout the world for Printing on Aluminum Foil, Labels, Polyester, PVC, BOPP, Paper, Laminated Foil, etc. Heavy CI frames for high-speed operation and trouble-free performance. Machine comprises Unwind Trolley Unit with Web Aligners, Printing Stations Rewinding units, Pneumatically operated Rubber Roll Impression Systems, Motorised registration system, Blowers and Heaters for Each Printing Stations, Ink Circulation Pumps, Tension Control Clutch and Brake system, Web Video Inspection, Optional Split Unit System ensures that you can use your one single machine for two different printing jobs at the same time. Price Ranges from 25 to 40 Lakhs. 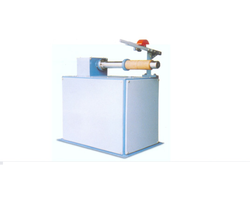 We are one of the leading manufacturers and exporters of optimum quality Manual Paper Core Cutting Machine. 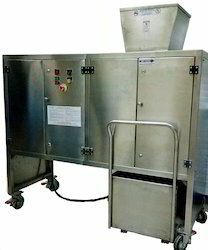 These machines are manufactured from high quality metal and alloy, which is procured from well known vendors. Available with us at cost effective market price, the offered machine is widely used for various core cutting applications in various industrial applications.